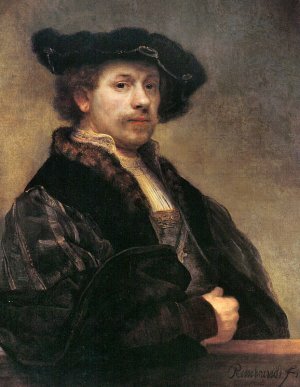 Rembrandt Harmenszoon (son of Harmen) van Rijn (REM brant vahn RINE) was born in the Netherlands in the city of Leiden (LY d'n). When he grew up he called himself "van Ryn" which means "of the Rhine". The city of Leiden, his hometown which was founded about 300 BC is on the Rhine River. There were six children in his family.His parents wanted him to get a good education and provided opportunities for him to study with successful artists. Among them was Pieter Lastman in Amsterdam. 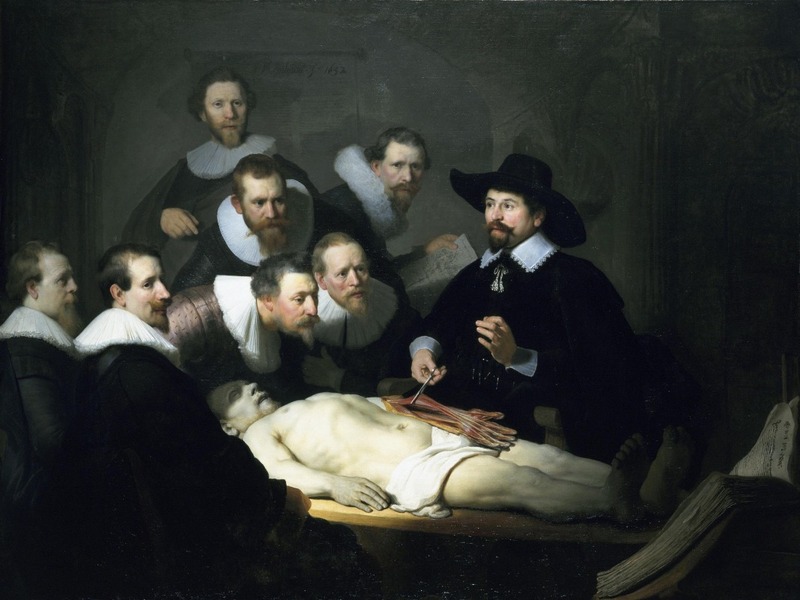 Rembrandt was very talented and studied with Lastman for six months and then moved back to Leiden and began to teach other artists even though he was only 22 years old. Upon his return to Amsterdam, he opened an art studio at the house of a famous art dealer. He became very successful and employed many assistants and apprentices in his workshop. Sometimes he used members of his family as models. His father was the subject of Bearded Man in Furred Oriental Cape and Robe. His son Titus is seen in Titus at His Desk, and Prodigal Son in the Tavern features Rembrandt and his wife Saskia. He painted portraits for other families. This is how he met Saskia. She came from a wealthy family and when they married he began to enjoy his new-found wealth. He began to live more lavishly than he could afford and ended up deeply in debt. He bought a large house; really much larger than he could afford, and he collected works of art. His collection included works by such famous artists as Raphael (RAHF a-el) and Titian (TISH an). Some of these paintings today hang in galleries such as the Louvre in Paris, France and the National Gallery in London. Eventually he had to declare bankruptcy, and his house, furniture and art collection were sold at auction to pay the people to whom he owed money. He and Saskia had three children, but only one child, Titus, survived. Poor Titus. His mother died when he was only a year old. A young girl, Hendrickje came to work for Rembrandt and she would become Titus' mother, and later would give him a little sister, Cornelia. Rembrandt used Saskia and Hendrickje as his models for several paintings. The Syndics, our featured painting, is an interesting work. The men in the picture belong to a guild or a group of clothmakers. 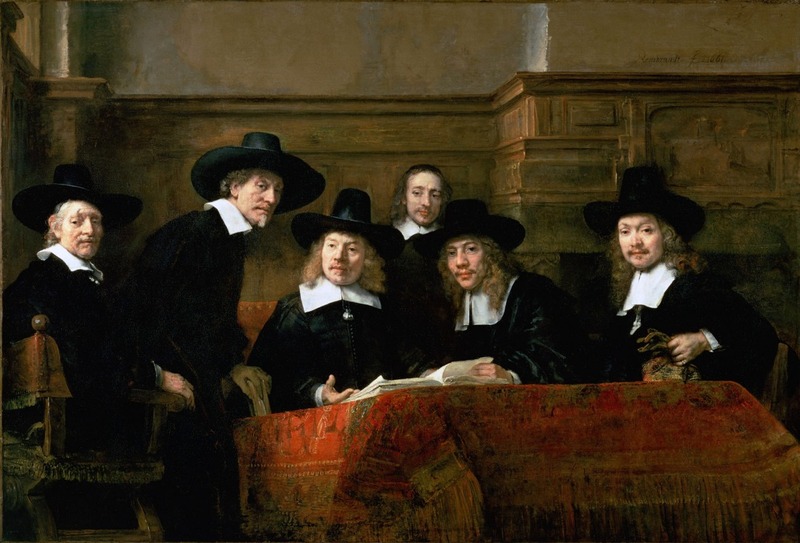 They commissioned Rembrandt to paint this portrait of their group. When it was finished they possibly hung it on the wall of their clubhouse or office. As they walked by it each day they had no way of knowing how important the painting would be to the world in 300 years. 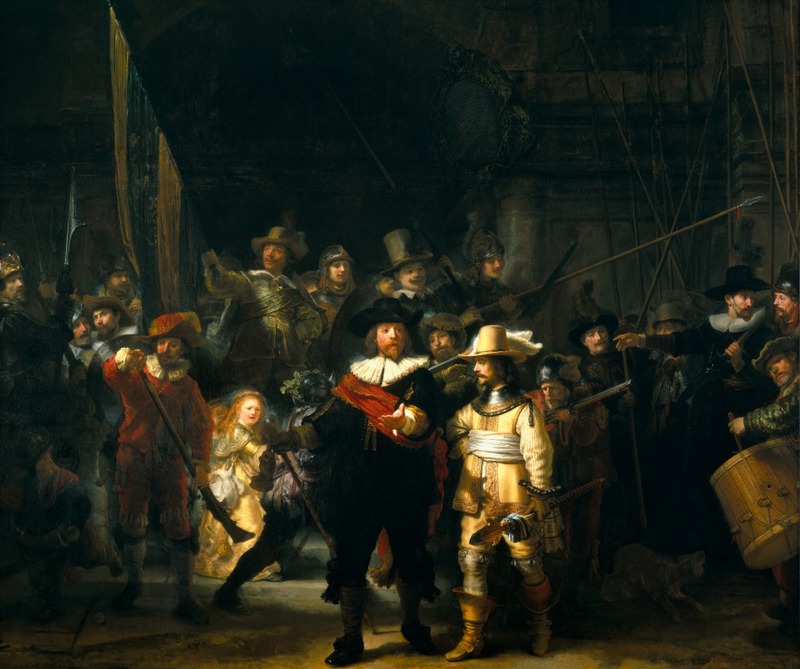 One of his most famous paintings is Nightwatch which shows a group of men in their military uniforms. A war had recently ended in the country and the men were dressed up for a military practice. Nightwatch was a controversial piece. Some of the people in the painting were not pleased with the results because they did not have a prominent place in the picture. They had all paid the same amount to have their portrait put in the picture and someone necessarily had to be placed on the back row. 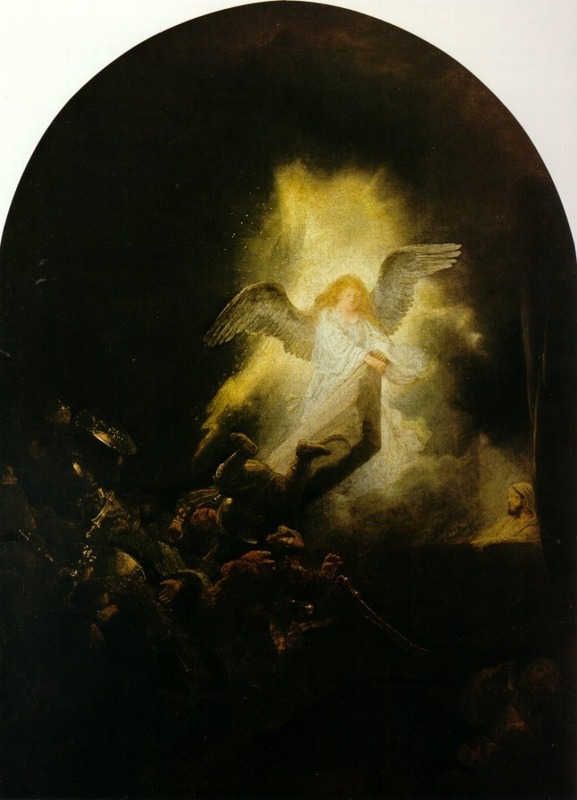 When Rembrandt painted it the colors were bright, but it became clouded with smoke and dirt and eventually became known as Nightwatch. 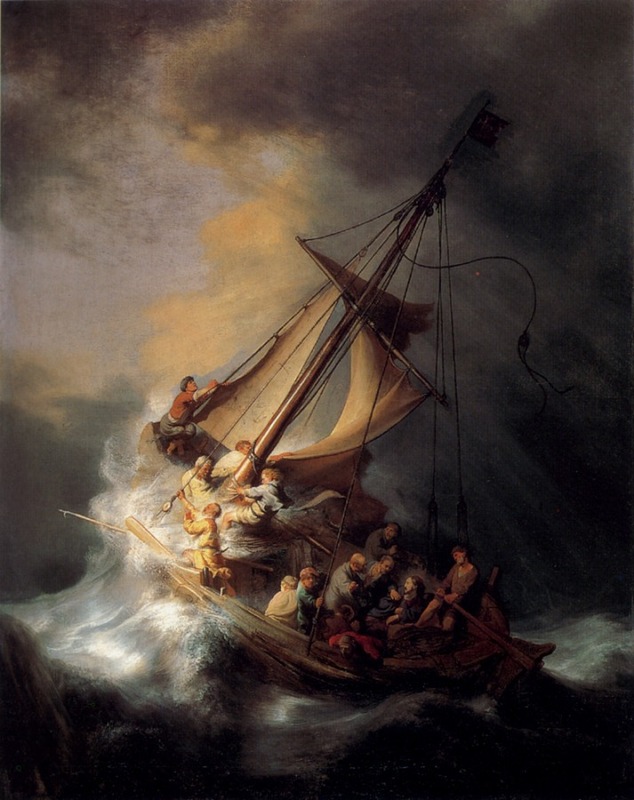 In this painting we see Rembrandt's use of light and shadow which makes his work so distinctive. 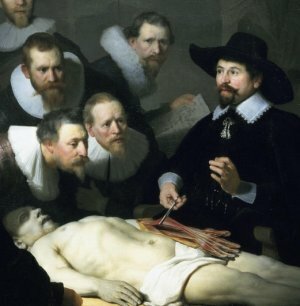 In 1632 a group of surgeons commissioned him to paint The Anatomy Lesson of Dr. Tulp. 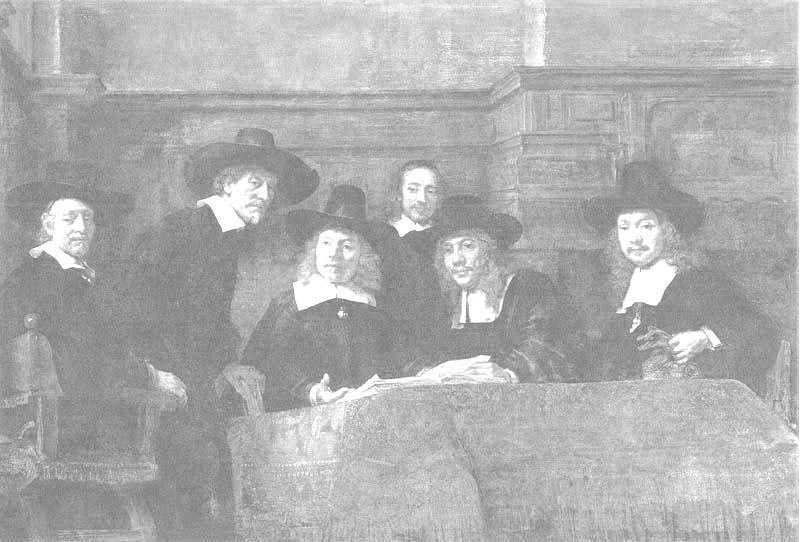 Rembrandt was 26 years old at the time. 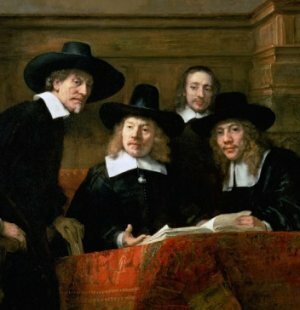 You can read an analysis of the painting. This great Dutch artist was very popular with the people. He enjoyed painting pictures of Bible characters and scenes of Bible stories. During his lifetime he produced over 600 paintings and made more than a thousand etchings and drawings. Because he was so prolific in his work, you can see his paintings in museums and galleries all over the world today. In 1633 he painted Christ in the Storm on the Lake of Galilee. In 1990 the painting was stolen and has not been found. 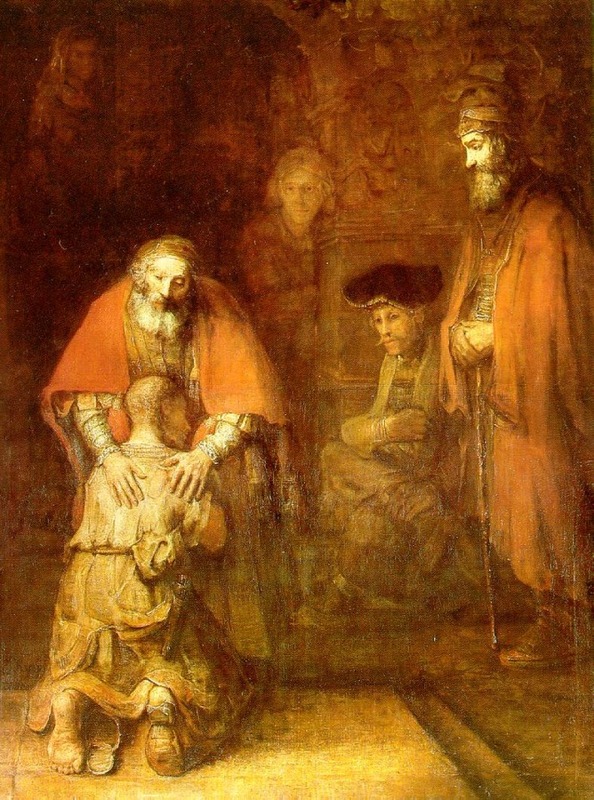 The Return of the Prodigal Son illustrates one of the parables Jesus told. It tells of a son who wasted his inheritance, but his loving father received him back home. 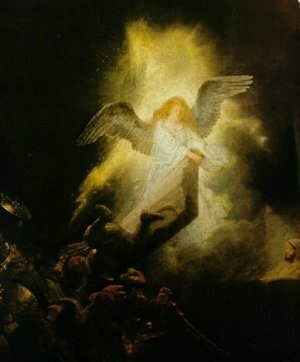 In The Resurrection there is a great contrast between the darkness of the night and the brilliant light of the angel and the glorious event. Rembrandt painted about 100 portraits of himself. Sometimes the portrait was a study (a practice picture) he would make in preparation for another painting he was planning to do. 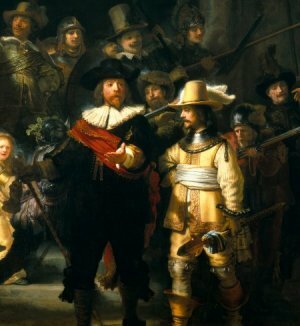 If you visited Amsterdam today you could see the painting The Nightwatch as well as The Syndics. You could also see the house where he and Saskia lived, and you could visit his studio. Hammacher, A.M., and R. Hammacher Vandenbrande. Flemish and Dutch Art. New York: Franklin Watt, Inc, 1965. Venezia, Mike. Rembrandt. New York: Children's Press, 2002. Self portraits by Rembrandt set to Antonio Vivaldi's: "Winter"
Press "Go" to search for books about Rembrandt. This page displayed 62,819 times.